Dreaming of moving quickly, comfortably and independently? Fill in our car rental form – and get a luxurious vehicle with the cheapest car rental Cannes! Let us do the car rental work and search the market to save your time and money! 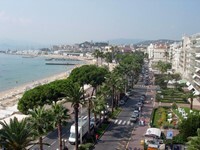 Fill in our car hire form to see the cheapest rental cars from the leading suppliers in Cannes. One click – and you’ve got a super car! Car rental Cannes is your reliable assistant for any transportation task! We prepared for you a list of Cannes car rental locations plus Car Rental Cannes - Must Know info and a list of Places to Visit in Cannes! 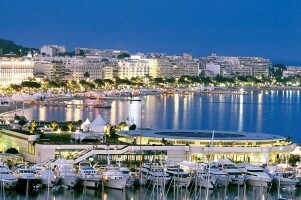 Cannes is the city of palaces and festivals, luxury yachts and rising stars (in all senses of the word). Gorgeous beaches, fine dining and regular holidays are combined here with the crowds of people, "hunters" for celebreties and shoes from Marc Jacobs's latest collection. In addition to the famous film festival this city hosts many international meetings and congresses. Put your hand in the hand print of a celebrity on the Walk of Fame, admire the yachts and go shopping on the streets of Antibes and Menader. Feel like a rising star of cinema with car rental Cannes! When driving you should stay as close as possible to the right lane of the road, and the left lane can be used only to make overtaking. One of the most serious violations is driving while intoxicated. Blood alcohol level should not exceed 0.5 ppm. To prevent violation fines, suspension of licenses and, in severe cases, even imprisonment just not combine alcohol and driving. Be attentive to the parking zones - the minimum parking fine is 70 euros. Croisette is much more than just a promenade. It is impossible visit Cannes and not to go to this legendary stars’ promenade so use your car rental vehicle to drive there. Along the waterfront you’ll see luxury hotels, real palaces: Carlton, Grand Hôtel (now called Malmaison), Ritz, a legendary casino Palm Beach. Walk in the footsteps of your favorite stars in the shade of palm trees! Sea, sun and luxury houses will surround you. This view will win you over, even if you do not visit one of the boats that come to Cannes in a variety! The paradise Lerins Islands are less than in a nautical mile from La Croisette in Cannes. Climb aboard, look to the shore and then forward, into the blue of Mediterranean Sea. Lerins Islands archipelago consists of four large and small islands, two of which are inhabited - the islands of St. Margaret and St. Honorat. The largest of the islands is St. Margarite. Take a walk on the trails among the pines and eucalyptus trees there. In the distance can be seen the Cap d'Antibes. 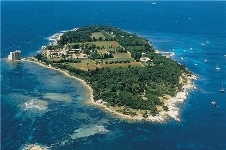 The island keeps many secrets: here a famous prisoner known as "The Iron Mask" spent more than ten years in detention. Maritime Museum will uncover the mystery of his fate. 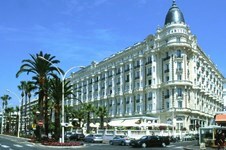 Palace of Festivals is located on the Croisette next to the old bay. 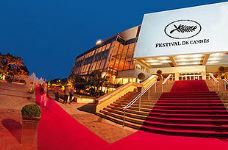 A variety of exhibitions, events and concerts are held there throughout the year, and in May the famous Cannes Film Festival takes place here. Near the festival palace you will see an avenue of stars, where handprints of different world known celebrities are immortalized in cement. Drive your car rental vehicle to the Palace and make a photo on a red carpet! You definitely should drive your car rental vehicle to the wonderfully restored mansion which exhibits a fairly large collection of works by Pablo Picasso. The famous artist once occupied the second floor of the mansion for three months. 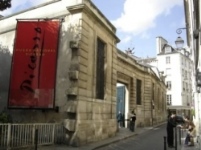 Among the exhibits of Picasso Museum you will find not only the paintings but also ceramics and several lithographs. RentalCars24h.com offers you reliable car rental Cannes services that will help you to feel free and independent when moving around the town. Providing best online prices for car hire Cannes services, RentalCars24h.com allows you to save money each time when you rent a car in Cannes.